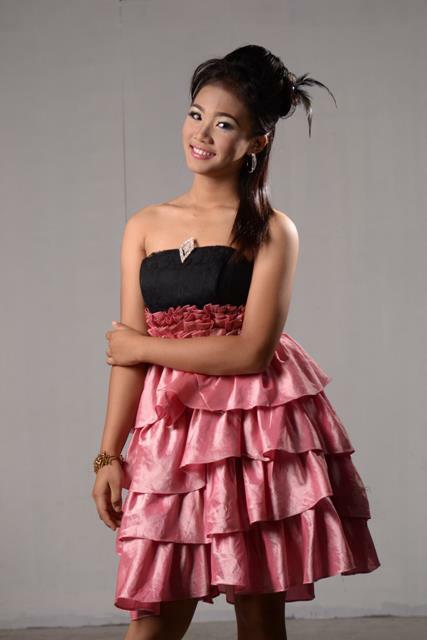 FOURTH YEAR student Liezel Mae C. Catadman reigned most queenly in the 2013 Seach for Mutya ng Alabel, September 10. Catadman bested 9 other candidates representing the different barangays and institutions in the municipality of Alabel, which celebrated its 42nd Founding Anniversary and 12th Kasadyaan Festival. Standing 5’9” tall, Liezel towered over other candidates and snatched the Best in Swimsuit, Best in Long Gown, and the special award, Miss Sophisticut Salon. With her wit – having been the champion in the recently concluded 2nd Voice of Asia Public Speaking Competition – she bagged the title, Mutya ng Alabel 2013. The first runner-up is also an AlSci student–Deborah Lyn Agloro, her classmate. Another batchmate, Rizelle Claire Uchi was judged as Miss Photogenic, Miss A Montana Resort, and Best in Production Number. Posted in Achievements, News and tagged Achievements, Mutya ng Alabel.